Shown above and below is a dirt cheap way to do the job. 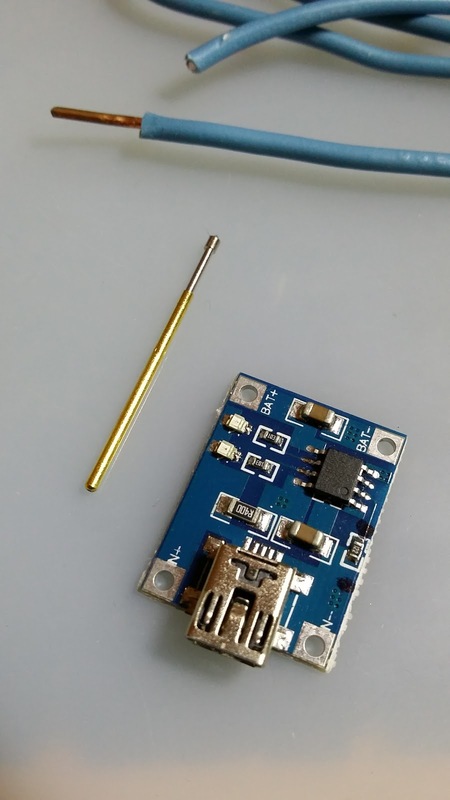 You need 2 "pogo pins"
It uses a LiPo charger module based on a TP4056 (e.g. like this one at $1 on ebay, but you can get 5 at this price for less than $2!). Check the voltage of course, but both the battery and the module have electronic protections so you should be safe charging most of cellphone batteries. By the way, I am using a silicon mat for all my solder job (and they are cheap: $4 for this 23x18cm mat). I tried various sizes and colors but I do recommend the white and small ones. This is even more useful than a self-healing cutting mat in my opinion, but mostly because I do not cut a lot of things. 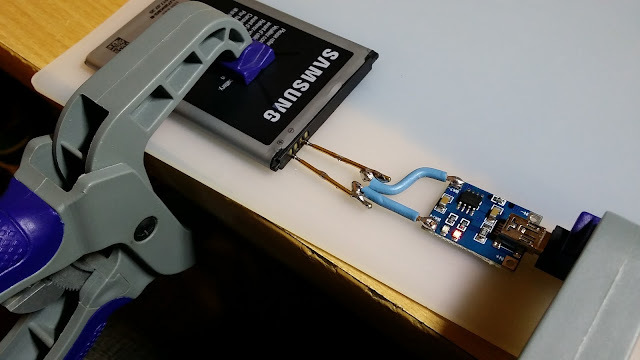 Since it is both soft and sticky, it helps a lot holding the module and battery efficiently with a pair of clamps that can be found at the nearby hardware shop. You can make it prettier with use of a 3D printed harness of course. As a side note, we are living in interesting times... the specific board I need to replace on my phone, a Galaxy Note 3 from Samsung is only $3.27, shipping included from China. I would have to pay more just for one of the connectors, or ribbon cable!